Scott Hirons serves as a Trainee Residential Appraiser for Metro Appraisals. 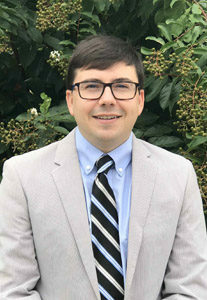 Scott became registered with the state in early 2018 after working for the Hall County Tax Assessors office as a residential appraiser. Scott has been appraising residential property in Hall County and North Georgia since 2016 as he works towards his Certified Residential classification. Scott attended the University of Georgia and graduated with a Bachelor’s of Science in Food and Consumer Sciences in 2011. Prior to his career in real estate, Scott was the head brewer for Grumpy Old Men Brewing in Blue Ridge, GA. Originally from Marietta, Scott resides in Gainesville with his wife Ashely and their dog, Brindle.